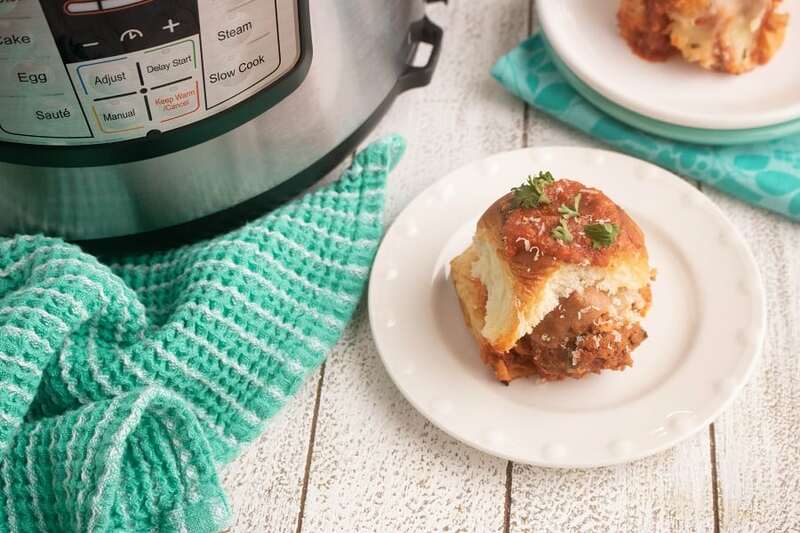 Instant Pot Italian Meatball Sliders are versatile enough to be enjoyed for lunch, dinner, a snack, during the big game, and any season! We use simple ingredients found in the fridge and pantry to make this incredibly easy meal for busy families. 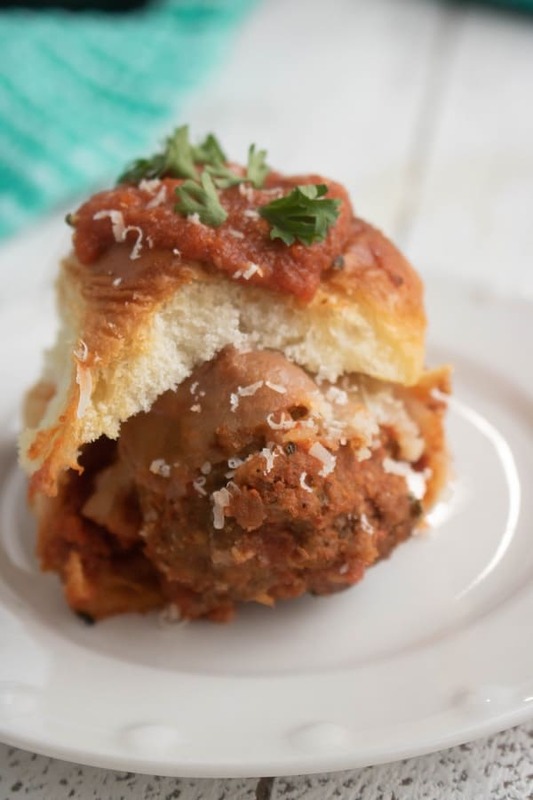 If you need an easy recipe to make in your Instant Pot, then this recipe for Italian Meatball Sliders is definitely for you! 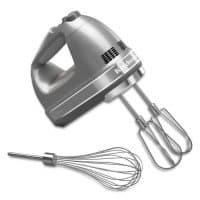 This takes no time at all to cook, and will have your family raving for you to make it again the next day! It’s so easy to make meatballs in the Instant Pot! No browning required. 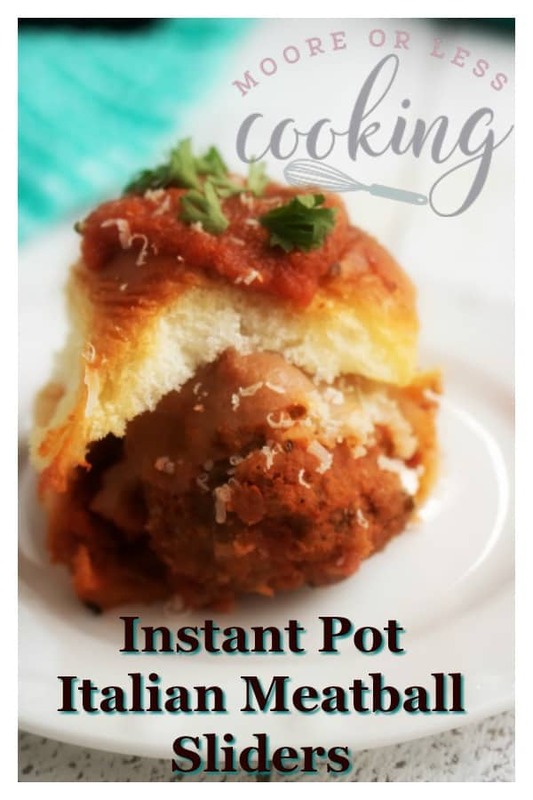 Just form the meatballs, place in the Instant Pot along with the sauce, set it and step away! 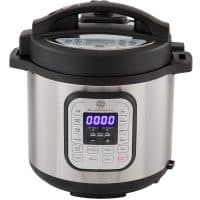 Are you nervous about using your Instant Pot? 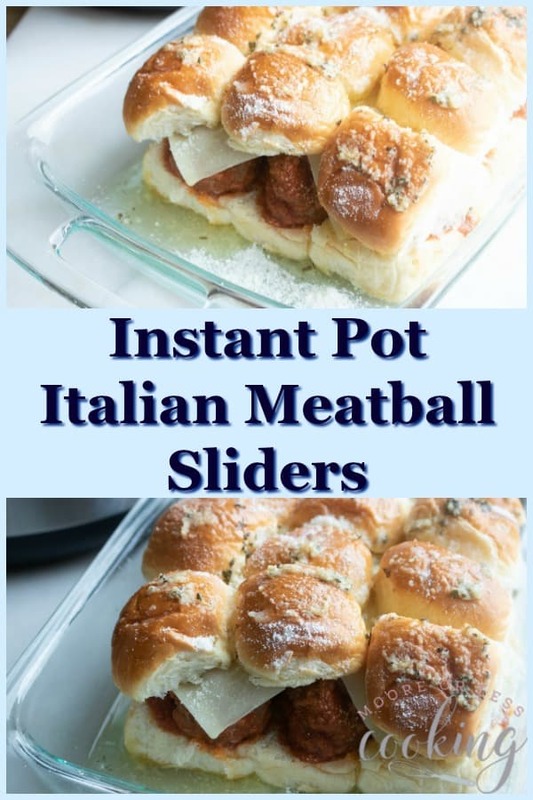 There is no need to be scared, trust me, these Instant Pot Meatball Sliders are so incredibly delicious, your mouth will be watering just reading the recipe! 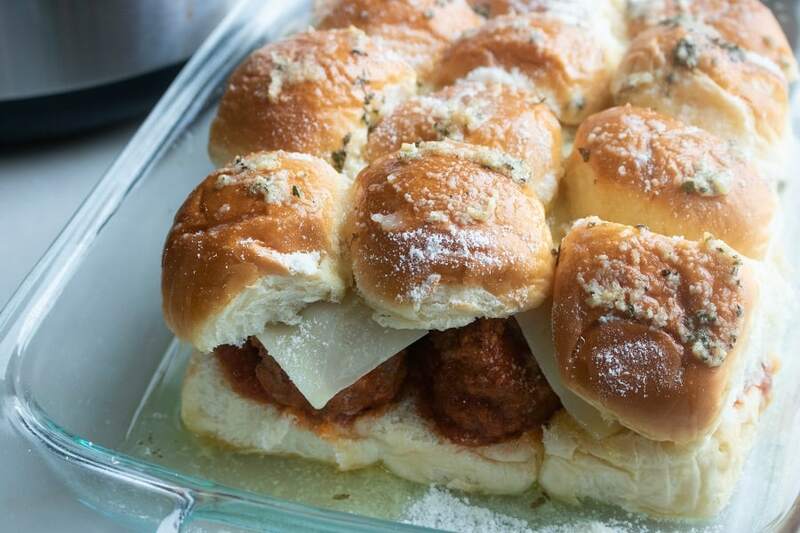 My family went crazy for these Meatball Sliders! The great news is I made them again 3 days later because they were begging me to share them with their friends. They are lucky, they have really nice friends! 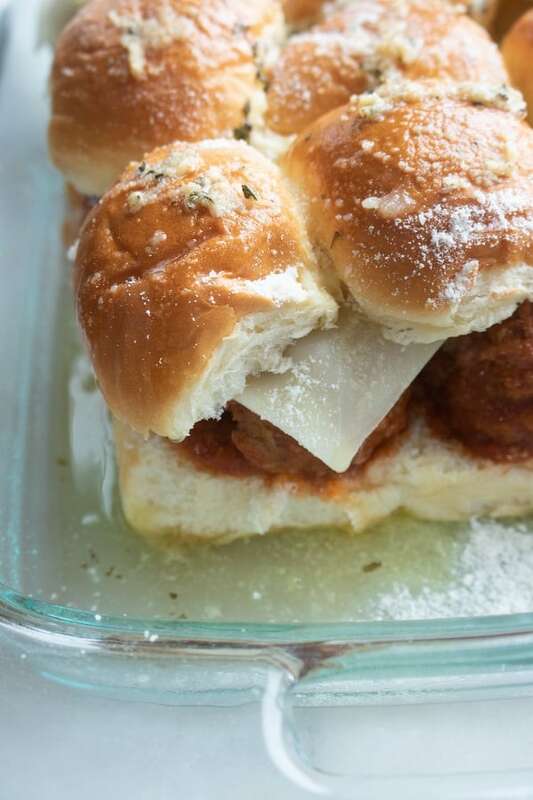 I told them that I needed their help, they couldn’t believe how easy these Italian Meatball Sliders are to make. 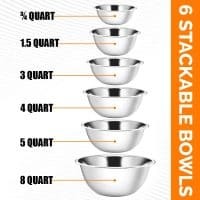 Hold on to your hats, I am going to show you how as well. Just scroll down to see. Enjoy my newest video here! For the sauce, I’ve used freeze dried herbs. Freeze dried herbs are the closest I’ve found to fresh herbs when they aren’t available. However, I always use fresh parsley in the meatballs. 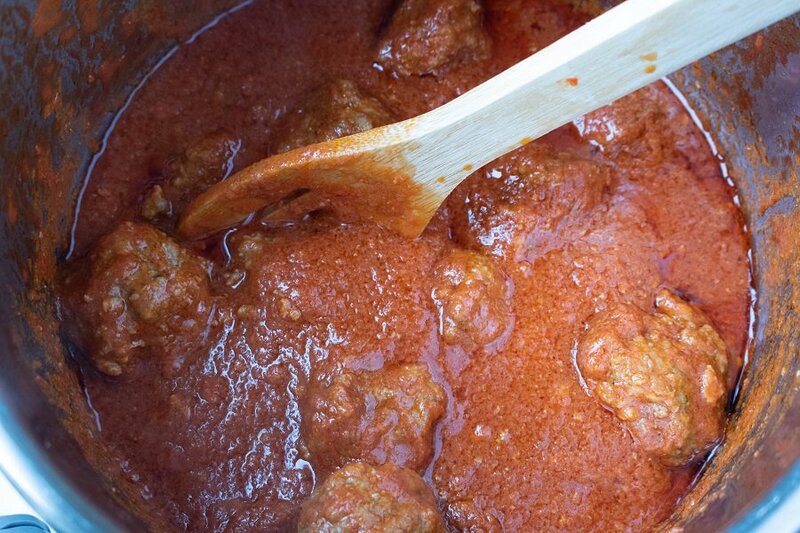 The quality of the crushed tomatoes will greatly affect the quality of your sauce. Be sure to use a good quality tomato product. 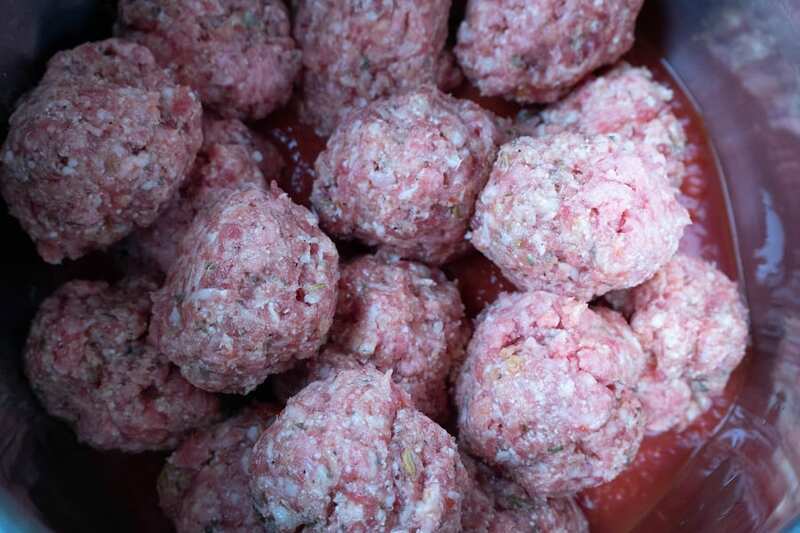 Using a large scooper, form meatballs that are about 1 ½ inches. 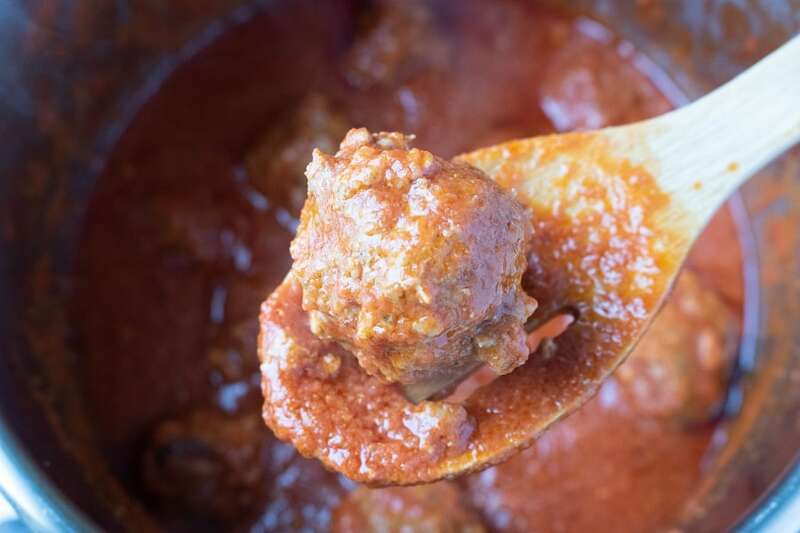 Pour half of the tomato puree into the inner pot of the Instant Pot and then place meatballs on top of the sauce. 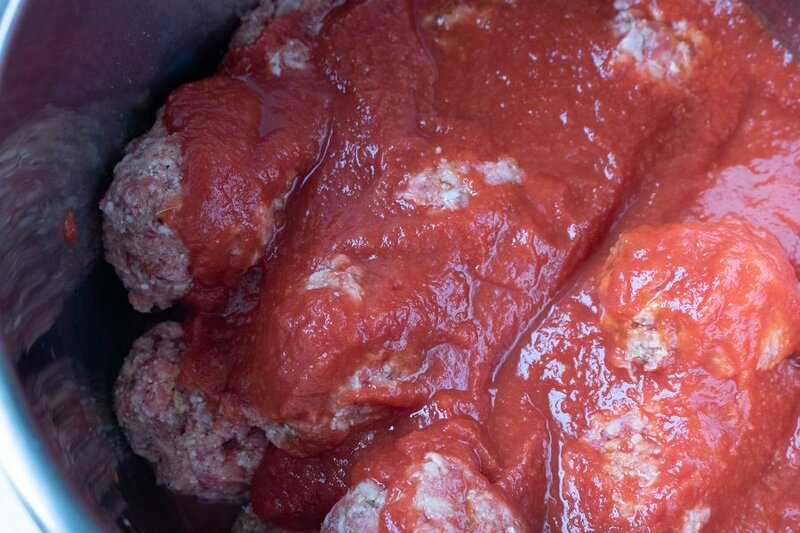 Add the remaining sauce over the meatballs. 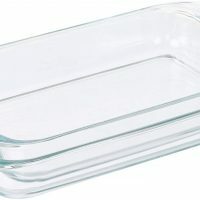 Place the bottom of the slider buns in the casserole dish. 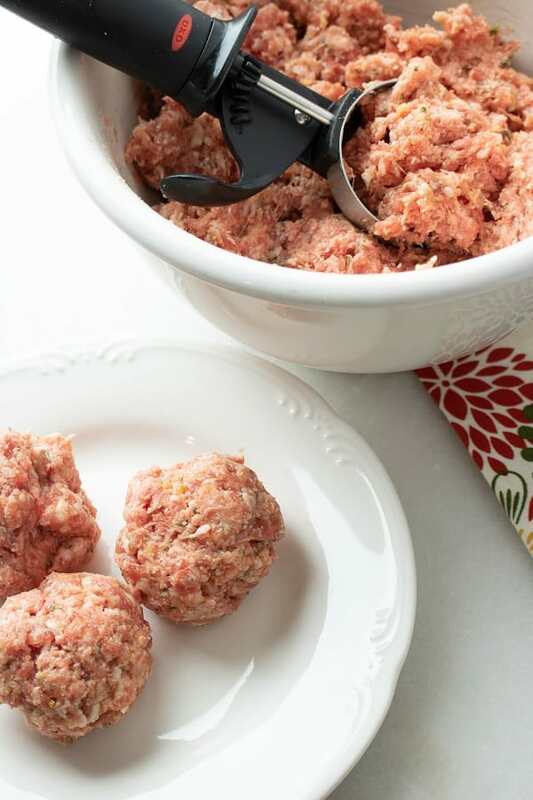 Load up the buns with meatballs and some extra sauce when the meatballs have finished cooking. 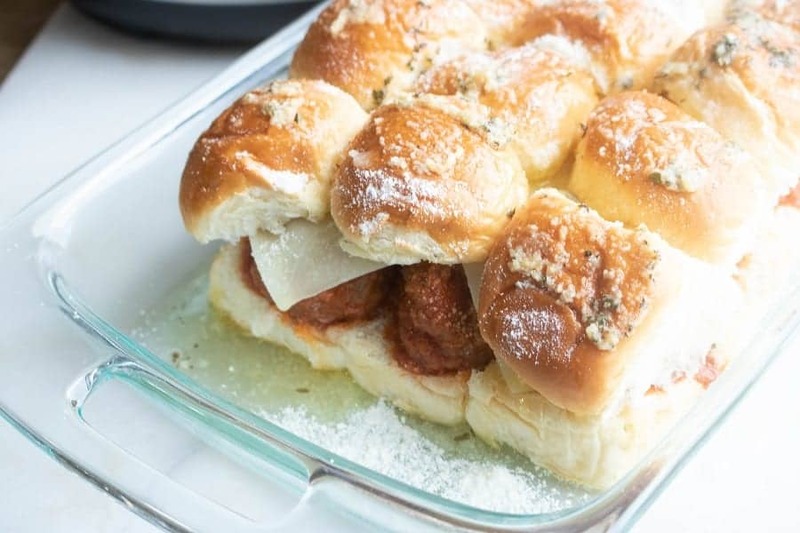 Reserve some sauce to serve alongside the sandwiches.Top sliders with Mozzerella cheese, and then finish with the tops of the buns. Sprinkle 1/8 cup of grated Parmesan cheese over the sliders. Melt butter and mix in garlic powder and dried parsley. Pour this over the top of the rolls and brush it over the rolls to spread out evenly.